Bad decision on his part. Next year the Cards might be trading him. Lol. After three months of talking about flashy players and what-ifs, teams go back to the tried-and-true. If he's available at 15 the choice for me comes down to OT versus Edge. Williams and Wiliams on the left side - - - that's a nice fantasy but not likely for many reasons. Any player rising means that someone is falling. I just hope that history repeats itself and the QBs all go early as that leaves more options for the Skins. If there's no sure-fire player then other teams are unlikely to want to trade up. As you said - - too much talent available at picks 20-100. Only 14 players get selected before the Skins so any of the ones listed could be available. Some are more likely than others. I think the choice seems to come down to Jonah Williams OT; Ferrell or Burns (Edge), or Hockenson. I'd be happy with Williams or Hockenson. I'd be happy if the Skins select an Edge. Ferrell versus Burns would be an easier decision if I knew how the Skins intend to use the player. The analysis on Ferrell sounds like he'd be better as DE. Burns has potential to be more of the OLB rush and cover hybrid player. Front office needs to be on the same page as coaches. At this point pre-draft I look at a mock draft to see who they thought would be available but wasn't picked. It's interesting to see the pick when you know the choice is between two specific players, e.g., Derwin James and Daron Payne. One recent mock had the following players available when the Skins are on the clock (no trade down): Devin Bush (LB), Clelin Ferrel (Edge); Brian Burns (Edge); Jonah Williams (T); Cody Ford (G/T); Greedy Williams (CB); and Hochenson (TE). You can't pick assuming that you will be able to fill a different position with a quality player in rounds 2-3. Assume a 50-50 possibility that your other high need position may not be available at appropriate value until round 5. So who do you pick? OL has been discussed at various points over the last several dead football months. The OTs that come up most often as first round picks include: Jawaan Taylor, Andre Dillard, Jonah Williams and Cody Ford. Ford is often listed as a G rather than T. Casserly likes Greg Little but others peg him as 3rd round talent. I don't think anyone expects Taylor to drop to 15. Dillard and Williams are certainly possibilities depending upon whether teams go early for QBs and Edge rushers. Dillard is the best pass protector and that will be highly valued by a pass-heavy team. I think Ford will have an issue in that he's been pegged by some as a G and there are many Guards available in the 2nd round. The one that may be #15 value and may be there when the Skins pick is Williams. If this happens and Skins pick him I would not be livid. It would be a smart move IMO. He either plays LG immediately or takes over at LT now and Trent moves inside. A quality Tackle is worth a first round pick. You are beating a dead horse. I think most will agree that draft assets should be applied to the OL but we don't agree with your prescription. The draft seems to have good depth at TE and the position is a big need for the team. The moons have aligned so now the Skins just have to execute the plan. Right scheme; right play call; he's wide open; d'oh! butter-fingers drops the ball. Those days are over...….right? All true but I'm still not slotting the first two picks for the OL. Give me an OT that can play G for a year before switching to T. Use a 5th round pick for a Guard that can step up after a year. Of those three I'd rather the Skins go with Jonah Williams. He fills a short term and long term need and is appropriate value at 15. I'm not sure that the Skins would use Brown appropriately - if they ask him to block or use him on screens the LBs may break him like a toothpick. Oliver and Wilkins are both intriguing but there's a log jam on the Dline - Settle and Brantley need more playing time. If the Skins can re-sign Ionnanidis to a reasonable contract then that would be preferable to drafting another DT/DE in round 1. If they think they will have to let Ionnanidis go then I'd take the DT if the Skins think they can trade him for picks (greater pick value than an expected comp pick). What attributes do you think the Skins should look for in an OLB? A Kerrigan clone? A guy that can both rush and drop and cover? Is Ferrell best suited as an OLB or as a 4-3 DE? Is he best suited to their nickel defense? I think Ferrell will likely be available at 15 and perhaps somewhat lower. Is he a "difference maker" that Gruden covets (not that pre-draft comments mean anything). Skins do have a need for a difference maker at any of a number of positions. The concern that everyone has is whether any of the available players at 15 will be a difference maker along the lines of Derwin James or just a solid blue chip type. The overall roster has improved - players that are cut are now picked up by other teams (it wasn't always so!!!!!). But yes there aren't enough impact players. Draft QBs will affect the Skins' options tremendously. Teams aren't going to pass on top edge rushers; and you will always have the truly elite DTs and OTs go; then it's a question of individual players: one WR? a TE? one or two CBs? ILB? Who knows. I'm ready to find out. I'm back to Edge; TE; WR; G/T in the first four picks. But each player has to fit what the Skins are trying to do. I have my wish list but it's more important that the player have a productive career with the Skins. Lastly, I'm hoping the Skins can take advantage of DL depth after the "top" players have been picked - one guy that is ready in year 2 would be perfect. The BPA for the second round pick may be Josh Rosen. But, yes I agree that "win now" is not a good philosophy for this team. I disagree that letting Kirk go was a bad decision. He was never worth that contract. The error was trading the 3rd and slot CB for a 34 yo QB. Hindsight is 20-20 though. If Smith had been as good as hoped we probably would be saying the trade was worth it. The 3rd round pick doesn't always pan out and Fuller may have regressed with the Chiefs. Still, a well run team would never have gotten into this position in the first place. Flowers at Guard is nothing more than hope at this point. But, yes they may not think of Guard as an absolute need going into the draft. Sometimes a quality player falls into your lap though so who knows? If Flowers turns out to be good at Guard then the Skins would at least have a starter and upgraded depth. 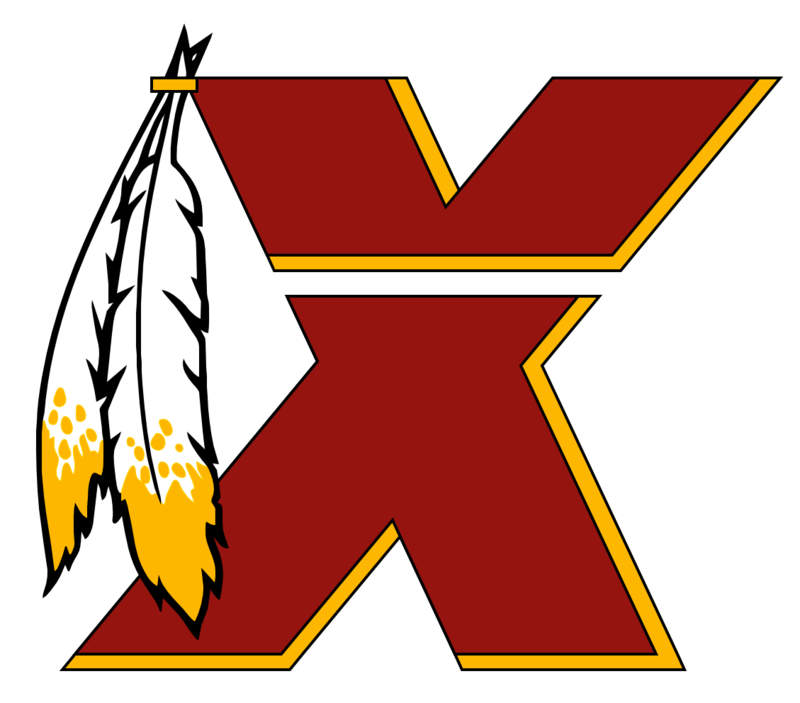 After all of the injuries the last two years I wouldn't mind if the Skins go OL in the first round. What if they can't extend Scherff? Immediate need and near term planning support devoting some draft pick(s) to the OL if there's appropriate value. Cards are hyping everything up as much as possible to get greater value from the #1 pick or greater value for Rosen. There are multiple suitors! Multiple picks offered already! I hope the Skins let the football guys make these decisions. I'm sure Jay Gruden would like Rosen but the issue is always the cost to get him. My gut feel is that the Skins are going to do their best to get Rosen. If they do, then I think the Skins need to go all-in to help the offense succeed this year. If the Skins trade their second round pick then they almost have to trade down from #15 to recoup a high pick to use on the offense. I had suggested swapping #15 for the Cards first 2nd round pick. There are many possible scenarios but the idea is to keep 4 picks in that lower first, second and third rounds. Then go G/T, 1-2 WRs, and TE wherever the best value/fit for the team. Of course, you can't completely ignore other positions of greater value but the strategic goal would be to let Rosen actually develop into your hoped for franchise QB. If one of the top 4 picks is for a higher value defensive player then so be it but the G and WR positions are a must. Skins can get by with a lower TE but not with the existing depth at Guard or WR. Brian Burns seems to have dropped in recent drafts. Clelin Ferrel is interesting but I thought he was projected to be a better fit as a 4-3 DE. Your list includes only one Tackle and it may be that you only want Jawaan Taylor (very unlikely to fall to #15). Other top rated tackles Andre Dillard or Jonah Williams might be picked early and, if so, that will make another player on your short list available.